If you live in or near the San Francisco Bay Area, you’ll know about the various distilleries that we have. If you don’t live locally, you might have heard of Anchor Distilling, 209, and St. George. 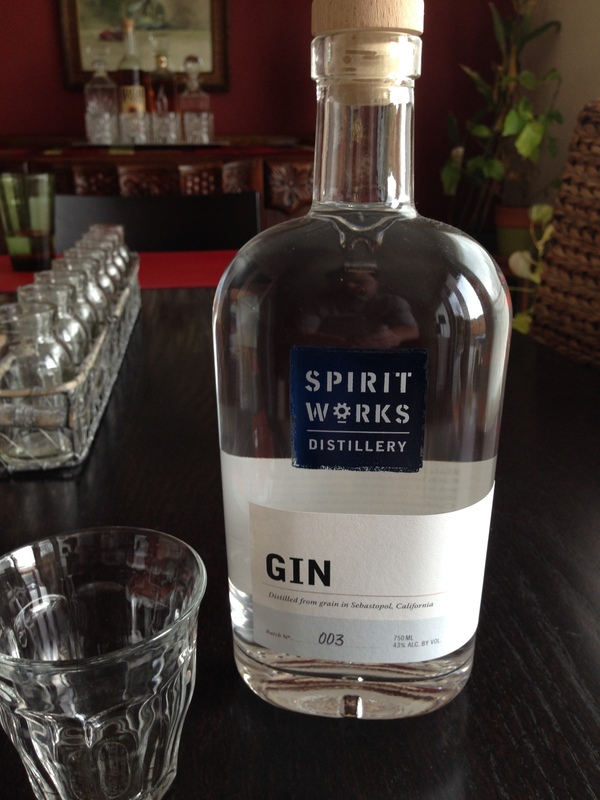 But, I’d wager that not many of you have heard of Spirit Works Distillery. And that’s about to change! Ashby and Timo, the Brains and the Braun behind Spirit Works, are obsessed with flavor. And when crafting Gin, that’s a good thing. A very good thing indeed. Let’s talk about my signature “let’s not mince words” statement: Spirit Works Gin is approachable, mixable, and just damn tasty. This is a small craft Gin, hand made from organic wheat, so the Gins in its price point are top shelf fare: Aviation, Tanqueray 10, Plymouth, and Bluecoat. Before you ask: yes, it holds it own against them and manages to stand out. The clean, floral nose is completely unexpected for a Gin. I had to have three separate sniffs just to get the floral notes, it was so neutral. Spirit Works Gin is… just damn tasty. This American Gin is complex, clean, and packs a punch. The Sebastopol crew have a keen sense for what flavors belong in Gin. Floral, juniper, citrus, a touch of pepper… If you try really hard, you can pick up on the traditional English Gin notes of cardamom and coriander. The additional 6 proof adds heat and a touch of pepper. These are pleasing notes that help Spirit Works Gin remain unique. I’m really enjoying this tasting ounce straight up. There are only two other Gins I can think of that I’d be ok with sipping straight… Let’s just say that Spirit Works is in good company. Spirit Works Gin falls two pegs down from Citrus. Yes, this is one lemon & lime Gin, but the floral notes add that complexity that calls to mind a proper adult beverage. These are pleasing notes that help Spirit Works Gin remain unique. To my mind, the heavy citrus means that Spirit Works Gin is not as versatile as Aviation, but I’d be hard pressed to find a single person who would snub a G&T or a White Lady made from it.